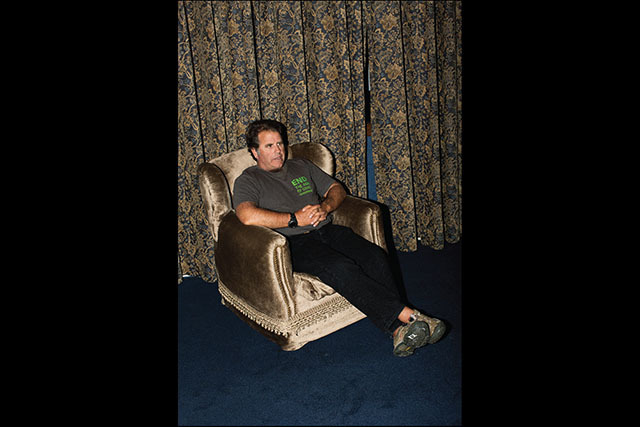 Photo by Clarke ToltonPeter Willcox in New York City, June 2015. 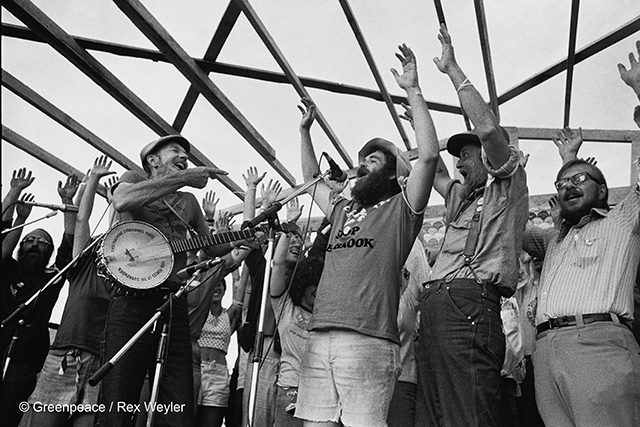 Pete Seeger performing during a Greenpeace nuclear weapons campaign in 1978. Peter on the Rainbow Warrior. 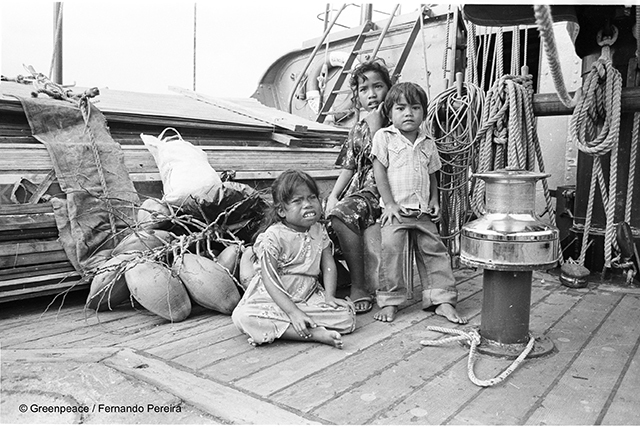 One of four trips to evacuate the Rongelap Islanders to Mejato in 1985. 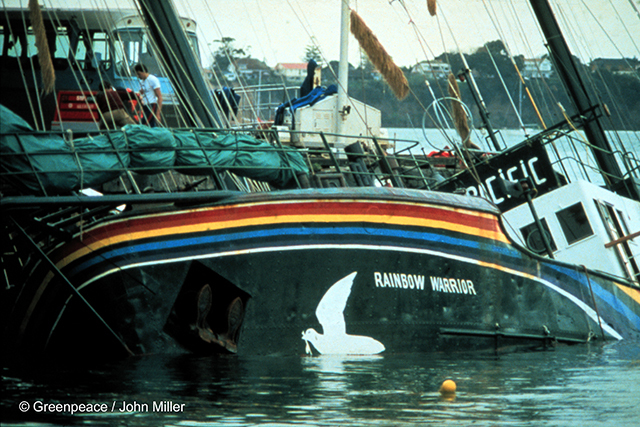 The Rainbow Warrior in New Zealand after the bombing by French Secret Service Agents. 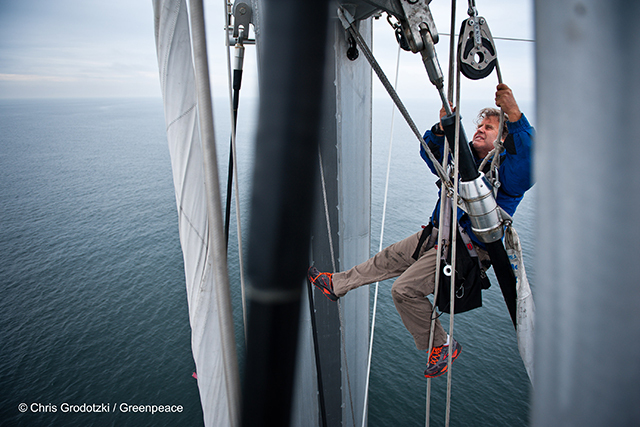 Photo courtesy of Pierre Gliezas / GreenpeaceInspecting the damage to the Rainbow Warrior after the bombing. 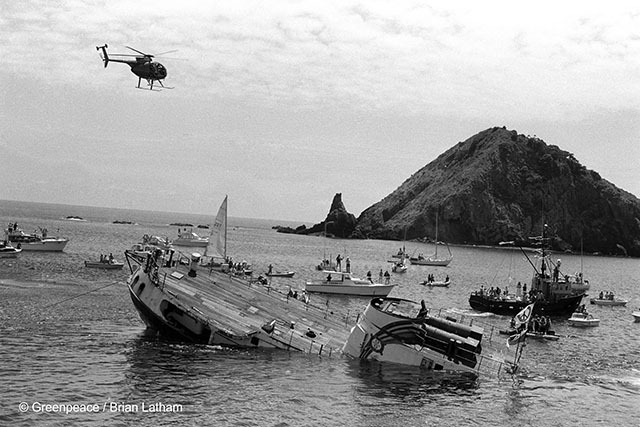 Another look at the Rainbow Warrior sunk in the harbor after being bombed. 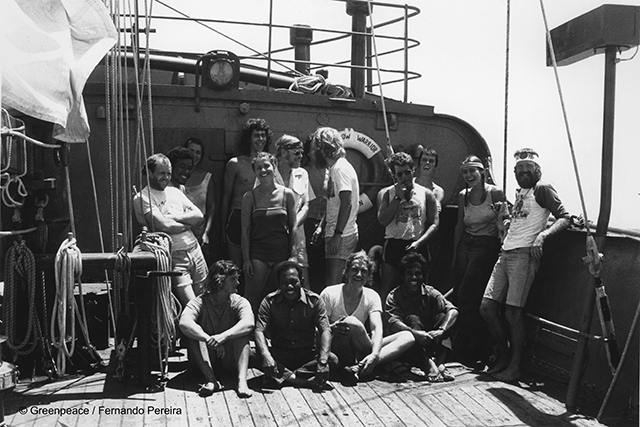 Peter (standing, 4th from right) with his Rainbow Warrior crew. At sea on the Rainbow Warrior III. Rainbow Warrior III at sail on the Great Barrier Reef. 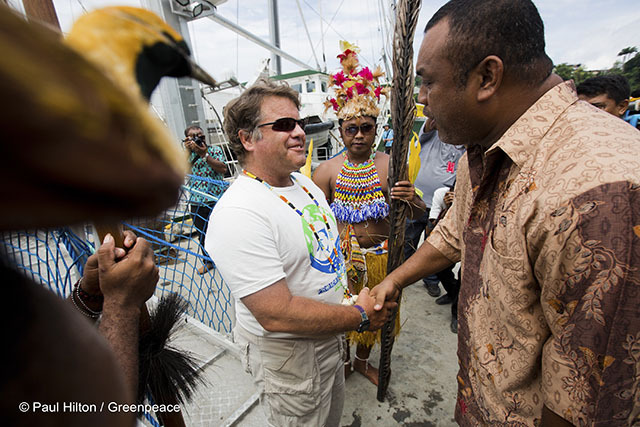 Arriving with the Rainbow Warrior III in Jayapura, May 2013. 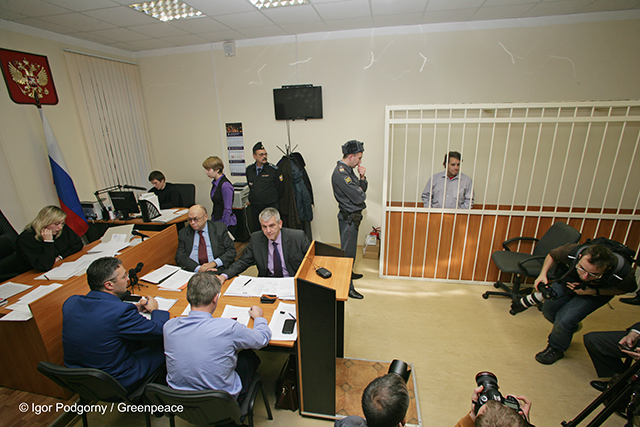 Peter at his last detention hearing in St. Petersburg. 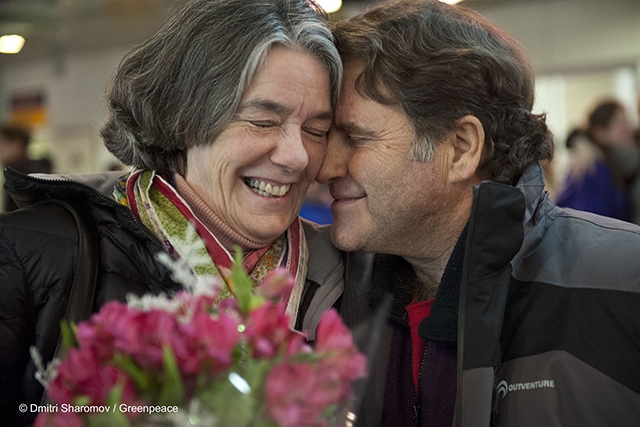 Peter and his wife reunited in St. Petersburg after his release. 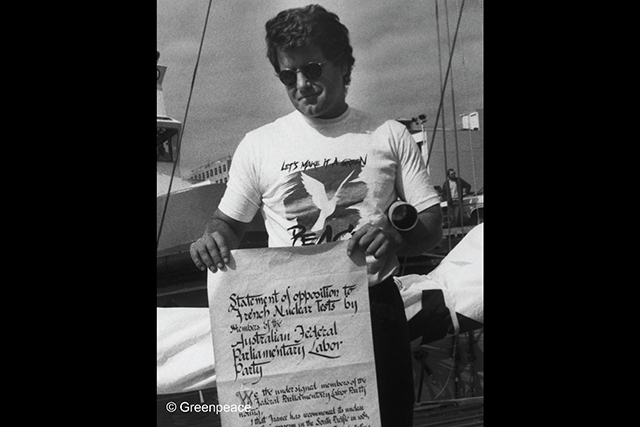 For over 30 years, Peter Willcox has been a sea captain for Greenpeace, an environmental organization based out of Amsterdam. 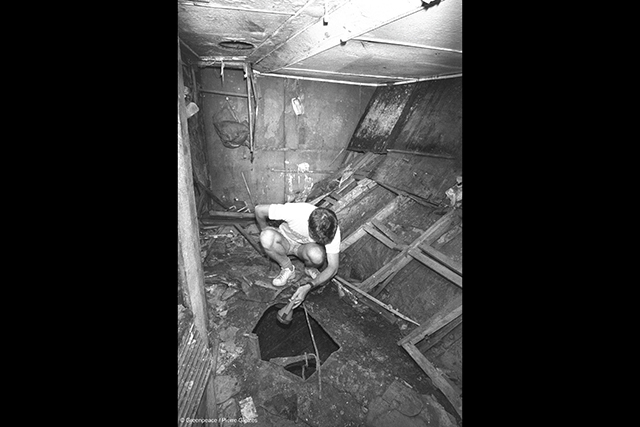 Willcox helps international campaigns against whaling, anti-nuclear activities, and global warming. 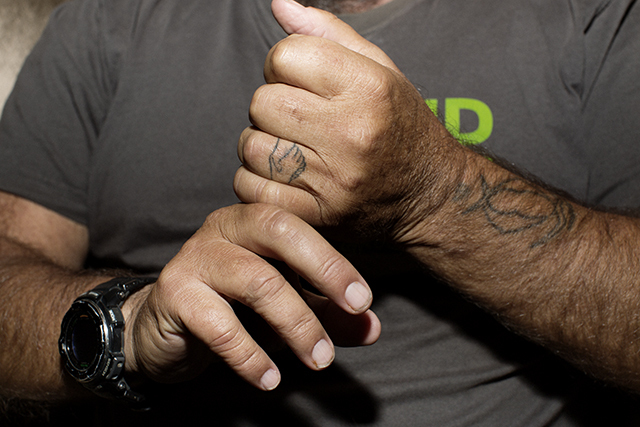 In this episode, he tells his experiences of growing up in an activist family, his first protest at sea, being attacked by the French government and jailed in Russia. 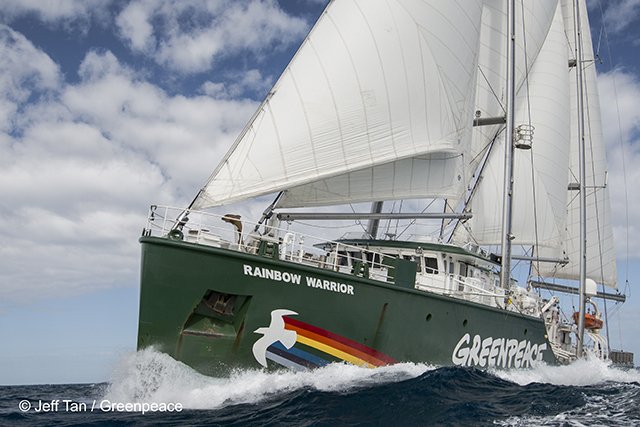 He also shares the history of the Rainbow Warrior, the famous Greenpeace vessel that continues to sail today.